** Making Homemade Chocolate 101 Ebook ** Tips & Tricks! Discover How to Make Homemade Chocolate! 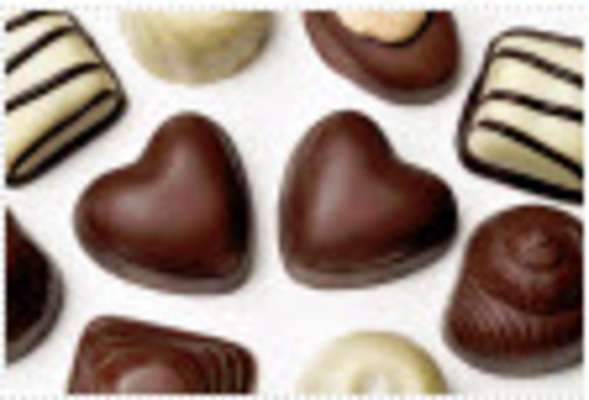 Do you love gourmet chocolate? Most people do! Fine chocolates are one of life’s greatest pleasures. Kings and princes have for centuries coveted chocolate. Did you know that chocolate used to be one of the expensive items in the world, almost as precious as gold? It’s true! Chocolate makers who mastered their craft went on to become very wealthy and famous, establishing some of the world’s most well known companies. People today still love chocolate. It is a part of many people’s daily life and also can be a wonderful treat and reward. Life without chocolate would truly be a sad and empty life. For some people though eating chocolate is fraught with hazards. If you’re watching your weight then one of the first things that experts tell you to do is cut out rich chocolate that is loaded with sugar and calories. Do you have special dietary restrictions that make it difficult for you to find chocolate that you can eat? For many people that suffer from conditions like diabetes limiting the amount of sugar that they eat it is necessary in order to be healthy. Diabetes is a very serious disease and controlling the amount of sugar that you eat if you’re diabetic is a very serious matter. It can be hard to find tasty chocolate treats that aren’t packed with sugar and are allowed on a diabetic diet. Or maybe you or someone in your family is a vegetarian or vegan so eating commercial chocolate made with dairy products is off limits. Now You CAN Have Chocolate! It’s true! You can have chocolate that won’t interfere with your dietary restrictions or health issues. Imagine being able to share a cup of luscious hot chocolate with a loved one on a cold winter night or being able to have a thick chocolate cake for your birthday. Wouldn’t it be great if you could eat a chocolate bar after a hard day? Or if you could treat yourself to some fancy chocolate truffles when you finish that project at work or make a deadline or get a promotion? Or if you could enjoy a luxurious cup of hot chocolate with your partner before bed? You can have chocolate whenever you want! Studies have suggested that eating chocolate on a regular basis can have some health benefits for people. Multiple studies have found that chocolate contains flavonoids, a type of polyphenol antioxidant that may help to diminish such conditions as hypertension and heart disease. This book will give you all of the helpful information that you need to know in order to start making your own delicious homemade chocolate. It’s packed full of fun tips and great ideas that you can use to make holiday, birthdays, weddings and other occasions a lot more special with homemade chocolate. The tips and tricks in this book are gathered from experts and homemade chocolate making champions. You can save a lot of time and money using these tips to make homemade chocolate. Normally it would take years of making homemade chocolate on your own in order to find out these tips through experience but you can get them all now by reading this book. Making Chocolate 101 will get you started on a great new pastime that will yield benefits and fun, not to mention delicious chocolates to eat! Just imagine when relatives and friends come over and you can offer them your very own chocolate creations. Picture being able to make chocolate with your kids and the great times you can have. Think about how you can exercise your creativity and make the chocolates you want when you want them and the way you want them. Plus, you can make your very own homemade choclate gifts for people’s birthdays or for Christmas, weddings, anniversaries, for any occasion. It is all possible when you know the tips and tricks of how to make your own homemade chocolates and this book will tell you how. By making chocolate yourself you know what is inside. You won’t have to worry about artificial or harmful ingredients. You can buy high quality ingredients, only the ingredients you want. By buying your own ingredients you can make a better product that suits your own needs. You can also make chocolate that has exactly the flavors that you love without spending a fortune on gourmet chocolate. Making your own chocolate is fun. That’s because you can be creative with what you put into the candy you create and even select how the candy will look! Plus, you can share the chocolate making experience with your friend and family, a great fun way to spend an afternoon or evening. The book Making Chocolate 101 isn’t something you consume once; it is a valuable asset full of information and tips that you will cherish for many years to come. The tips and information in this book will be things you use again and again for many years to come. Making chocolate will become a new tradition in your household making memories that will last a life time. Makging Chocolate 101 is available to you today for a special low price of only $17. That’s right only $17 – less than it costs to take your family out to dinner or to the movies. That is quite the deal. Given the information contained in the book and the knowledge and abilities it will give you, the price is not only worth it, but it will actually pay for itself pretty quickly. As you certainly are aware, the price for really good chocolate is high. Gourmet chocolate is expensive, not just because the ingredients are costly or the manufacturing is expensive but because the skill and knowledge to make really good chocolate is worth a lot. Let’s face it, the premium and gourmet chocolates you can purchase have a huge price markup added on to them. That’s the price you pay for buying a premium brand of anything and the same goes with chocolate. But you can buy your own high quality ingredients and avoid paying the markup the gourmet chocolate makers charge IF you know how to make your own chocolate. Why go to the store yet again and spend a premium price on manufactured chocolate when you can buy the book Making Chocolate 101 today. The price of $17 is also far less expensive than any other book on how to make chocolate. Certainly it is far less money than the trial and error method of learning how to make chocolate on your own. Plus, how much is your time worth? Probably far more than you give yourself credit. Don’t waste time and money running around trying to learn how to make your own homemade chocolate when Making Chocolate 101 can be yours today for only $17. P.S. Do you need a few creative ideas on how to make a wedding reception, baby shower, birthday party, or holiday better with homemade chocolate? Do you want to save money by making homemade chocolate gifts? Check out the titles above to see how this book can give you all the ideas you need and more. ** Making Homemade Chocolate 101 Ebook ** Tips & Tricks! homemade chocolate;how to make choclate 82956340 9.95 stockjock Fresh Download Available!